At Take Ten Designs, we love to stay home and snuggle up in our soft and warm comfort furniture. We also love all to decorate for Christmas! This festive idea comes from Jaime LaPlant via Home Talk. With some ribbon and some ornaments from the dollar store, you can enjoy the colorful display both from the inside and the outside. This incredible lawn decorating idea comes from Christmas Lights Etc. Using some chicken wire and basic Christmas lights, you can create beautiful round light displays. So while you’re inside warming up with a glass of wine while lounging in a Take Ten bean bag chair, passersby will be awed by your unique display. Big DIY Ideas offers this affordable and adorable idea, which is great for those who have children anxiously counting down the days until Santa comes. 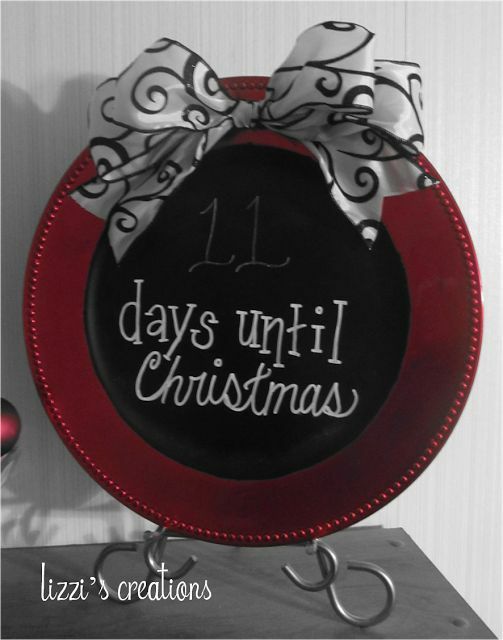 With a plate and some chalkboard paint, you can create a countdown for the kids to keep track of his arrival date. Did you have any trees cut down before the anticipated winter storms? The Garden Glove suggests using that wood to create snowmen to decorate your yard for the holidays. The great thing about these snowmen is that they won’t melt away as temperatures warm up. 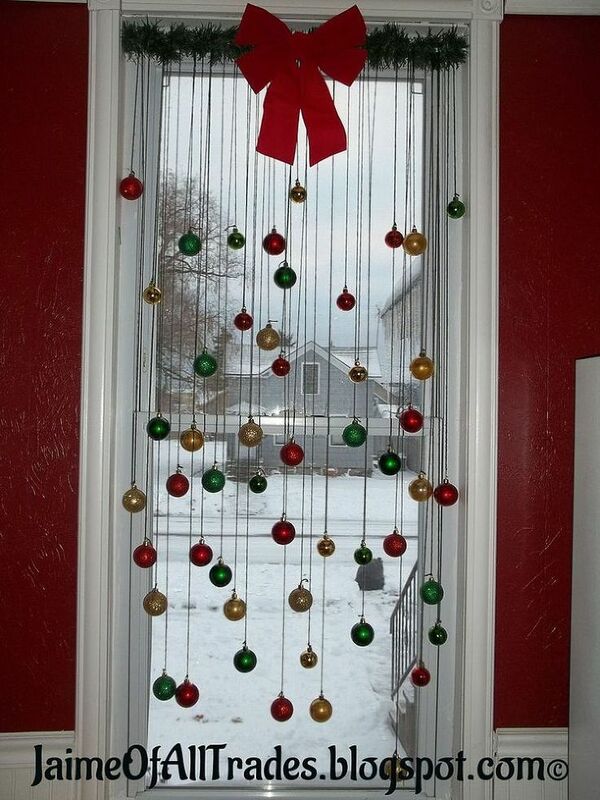 This classy decoration idea comes from eHow. 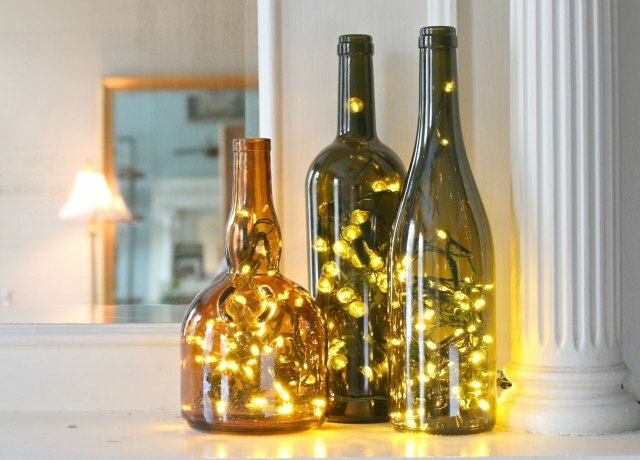 Simply take some wine bottles, drill a hole in the bottom, and stuff some Christmas lights inside. Not only can you use colorful lights during the holiday season, you can use yellow lights for year-round décor. Add a little extra warmth to your home alongside these wine bottle lights with some throw pillows from our Lava Collection. From Crafty Nest comes this great idea for kids to get involved in. With some old popsicle sticks, some glue and paint, you can have cheerful snowflakes hanging on your walls! Redhead Can Decorate delivers this gorgeous idea. 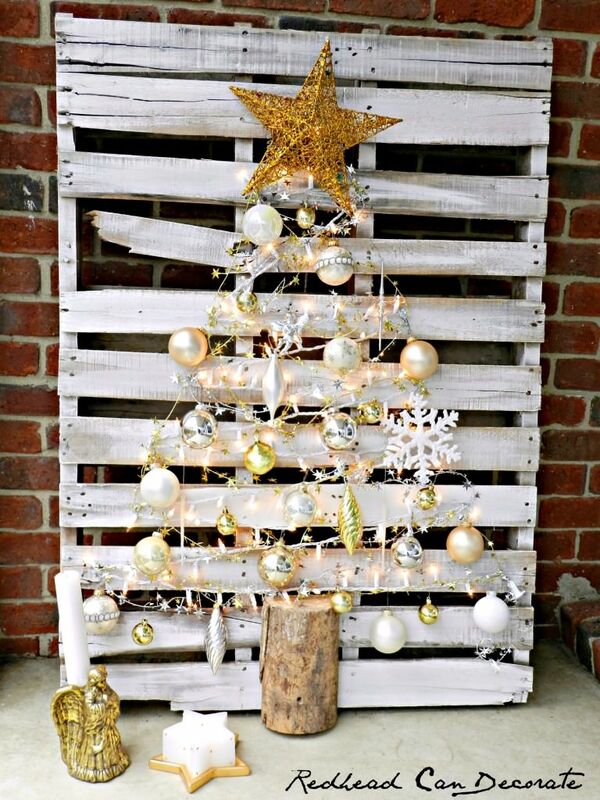 With some basic tree decorations and a wooden pallet you can make this rustic wooden tree decoration to light up your home. Our Cloud Collection comfort furniture would look (and feel) especially lovely in this lit up room. Not only can these Santa wine bottles from Young Craze be used as décor, they would make adorable gifts for holiday party hosts. With a little bit of time, some paint, glue and accessories, basic bottles become full of Christmas spirit. Save On Crafts gifts us with this festive idea (that will help you make use of those corks from all the wine bottles!). 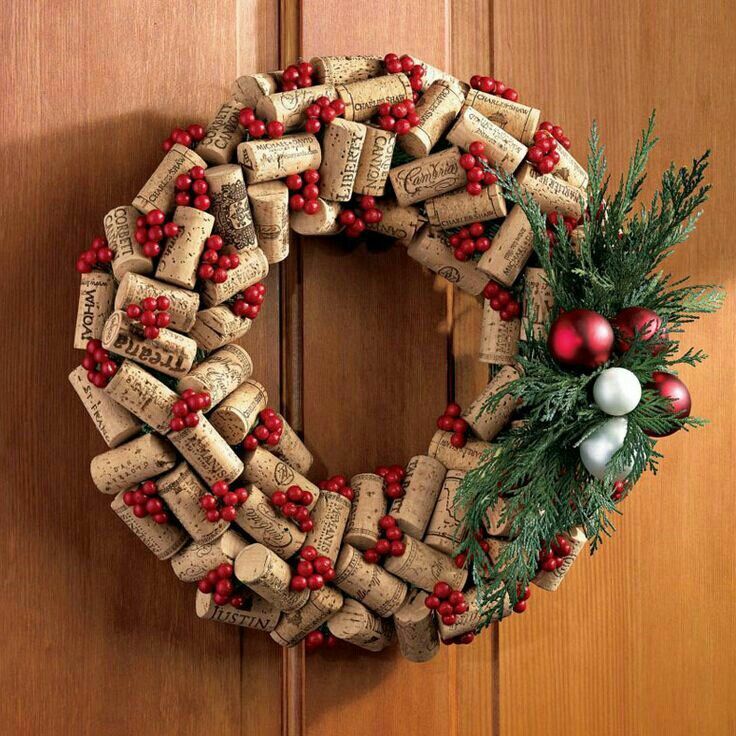 This cork wreath will welcome all of your holiday guests with joyful holiday spirit. This super cute idea comes from Thrifty Décor Chick. 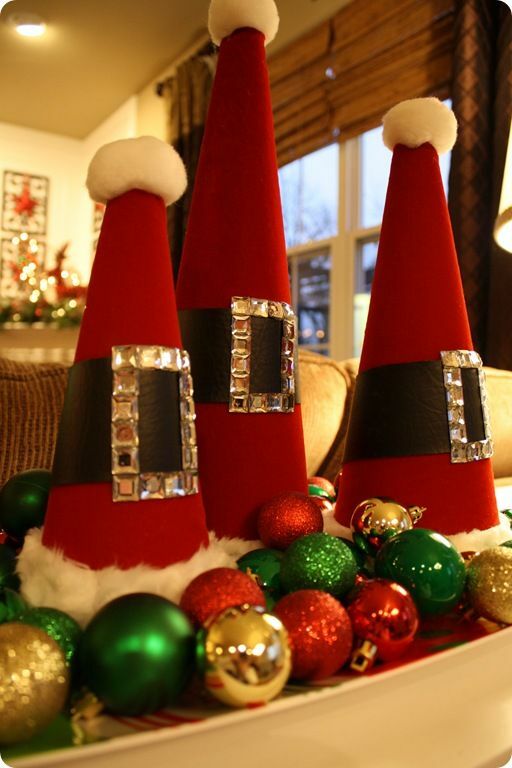 Not only are these Santa hat home decorations adorable, they are cheap to make – and they’ll add that extra dose of Christmas cheer to your home. Now prop your feet up on a Take Ten pouf ottoman and feel the Christmas joy!